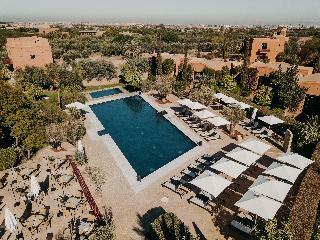 The property is 7.5 km away from the city centre of Marrakech. The hotel offers a free shuttle bus to Jemaa El Fna Place. Airport is 10 km away. 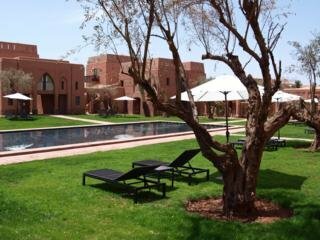 The hotel was constructed in 2010 with a 'village of riad' concept and has 58 houses. 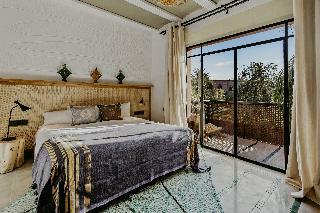 Inspired by Moroccan tradition, the houses are set in a quiet garden and are fully equipped. 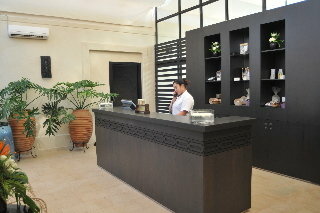 This charming spa complex features a mini market, free WLAN Internet access and 24-hour reception. A currency exchange is available onsite. 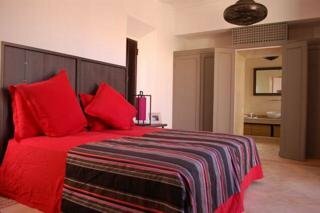 The residence also offers a panoramic view of the Atlas Mountains. Guests can dine in the restaurant while those arriving by car can leave their vehicle in the hotel car park. 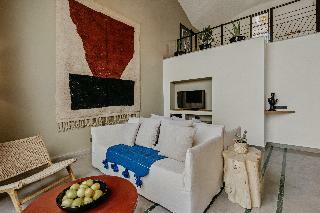 In-room amenities include a TV, ironing set, individually regulated air conditioning and heating, and a terrace. Guests may enjoy a dip in the outdoor swimming pool with a solarium, whilst spa facilities and massages are also available on-site.